There are days as a parent when we watch our kids swimming in the dark waters of today’s culture and it appears as though they are drowning. Especially as it pertains to their faith. 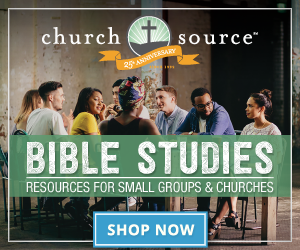 In her book, Rescue: Raising Teens in a Drowning Culture, Candy Gibbs draws her readers to a Bible story which renews our faith that God can handle our kids’ faith. I found these words written by Candy so reassuring. Sometimes we just have to be reminded: God cares more about our kids’ relationship with Him than we do. As we pray, we must trust He is at work. 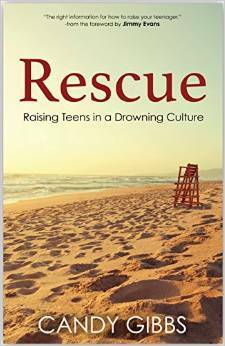 Today, I’m giving away a copy of Rescue: Raising Teens in a Drowning Culture by Candy Gibbs. To enter to win, just share the name of a teen you love in the comments below. Then, if you have time, say a pray for the teen named in the comment above your’s. Think of all the prayers that will go up today! I will announce the winner on my Friday post. My dear Troy, we pray for you that you would know God in a mighty way. We understand that it must be hard living with two completely different families…both love you. May God protect you honey. I am so glad it is what you needed today! I often have to remind myself that what I am seeing is not the end of the story! I have twin daughters, Sierra & Rhiannon, and preteen twin sons, Joshua & Elijah. My girls are REALLY struggling with “their” faith right now and it is exhibited in their behaviors and attitudes, which can make our family life unpleasant at times. My boys are watching all of this very closely. Thank you so much for this post and for the opportunity of this book give-away. I am sure that whomever is selected to win will be blessed immeasurably. God knows the WHOLE story while I only see what we are currently going through…it’s something I have to remind myself of daily. Thanks for sharing, Dawn Marie! Praying every day that my children, Clint and Breanna, will cross paths iwith good Godly examples everyday. Ayrella, a teen who accepted Christ this evening – 🙂 but does not live in a Christian home. Praying for my daughter Allaina and also for Ayrella, mentioned above who is a new Christian. I pray that you will bring people to Ayrella to mentor her in her faith and that you will bring her whole family to know you one day. My own Piper., in the midst of some hard life lessons about stress’s and time management and priorities…and praying for the list above! What a privilege to be trusted to pay for another mama’s children. Lynn, this is the best comment idea ever! Isn’t Jesus the best? Praying for each other’s kids…what encouragement! Father, I pray for our kids. Lord this world has so any temptations for them, so many expectations that can quickly confuse them as to who you are in their lives. Lord, I pray for wisdom for us parents, to help us to guide them in the path that you have laid out before them, help us to be steadfast in our own walk with you, so that even through trails our teens will see that we rely on you Jesus. I pray for the eyes of our kids to be open to your truths, for their hearts to be softened to your love and grace and mercy. I pray this for Allaina, Ayrella, Evelyn and all these children that will be mentioned and have been mentioned here…you know each one of them and love each one of them in a way that surpasses our understanding of love, thank you Jesus, Amen. My daughter Keely. God, I pray Keely will begin to own her faith, to hunger and thirst for your word, to seek hard after You and not live on borrowed faith from us, her parents. I pray those same things for Allain above. May Keely and Allaina grow to love Jesus more than anyone or anything else and stand firm in their faith in a hostile culture. Joshua & Nathaniel… one needs salvation & the other needs a closer walk with God. I really need to stay on my knees for them & learn to completely trust God with his children he has given me. My daughter Luci. She is just becoming a teen and could be such a good influence on those around her. I am praying for my Granddaughter Harlee. She is my oldest grandchild. Her home life is in turmoil, she has the head knowledge of Jesus but she needs him in her heart. Because she is the oldest of 5 she often has to take on responsibilities that no 16 year old should have to. Krysta. She is just hitting the teenage years. My teen, Conner, is a gentle giant who has so much potential. I have to constantly remind myself that God is capable of handling his life. God is capable of drawing him in and deepening that precious one on one relationship. God is capable of protecting his heart and confidence in the rocky seasons of life. Claire, my sweet 16 year old. Dear God, please watch over baby Danielle. Guide her and love her as only you can. All her life. Gabrielle. May she surround herself with Godly friends and not be embarrassed to talk about God. Meredith, Karah, Angel, Journey, Rosie, Karen, Mary, Cheyene & Jasmyne. I know you said “one” but I just couldn’t help myself 😉 I teach a middle/high school girls sunday school class and I want them all to know the love and grace of God. I am just so apprehensive about teaching this age while I have two daughters of my own that will be teenagers in a few short years. Dear Lord, I pray for Gabrielle. Surround her with your love and help her to know You in a way so deep that her life is forever changed. In Jesus’ name, Amen. Thank you for writing your prayer for my daughter Gabrielle. I showed her and it meant a lot to both of us. Callie. I pray for her and her friends daily. Callie – May she hear the voice of God over all others. I pray that her and her friends would seek you. Carrissa and Casondra – that they would be drawn to our Father in a way to strengthen them and have a life-changing relationship that sinks deep into their hearts and revolutionizes their walk with Him. What beautiful names they have! WOW…God’s timing overwhelms me. Been pouring out my heart to the Lord for my 17year old daughter Katie. At the place where He may need to break her to rebuild her. And just as David asked to allow his discipline after taking the census to come from the Lord, my desire is that anything needed in my daughter’s spiritual life right now would not come from man or the enemy, but from the perfect. loving hand of God. God please be with Katie during this difficult time in her life. Only you know the plans you have for her and the plans are for her to prosper. Let her know that you are beside her at all times and also be with her family as they go through this tough time with her. Bless her and her family. Anna’s heart would soften towards God and her family overall. She is a very defensive teen and needs to know that not every comment made is an argument or being used against her. May she find good Christian friends to hang with through the tough teen years. Be with Anna. Let your love constantly pour into her so that she knows you are always with her. Send angels to help keep her on the path you have planned for her and to guide her and influence her choices. Amanda and her step-cousin Eva. May their journey always lead them to God. I Pray For my son Elijah & Daughter Saraya. God protect them in this world. Lord-help them listen to you & not their flesh or the world. Lord i pray for all young girls & boys. Let their identity be in you. Protect them from this sexual world. Thank you both for having a heart for the young. Nicole – I can totally relate to this, and thank you for helping me to see that I’m not alone in my struggles with my son, Hunter’s, temptations in this sexual world! The evil that is always lurking around our children is such a scary fact! Only God knows all of what they are dealing with each day, and I praise Him that He is watching out for my boy, and helping him to draw nearer to Him, and resist the ways of the flesh! I’ll be praying for your sweet babies, too, Elijah and Sarayna, that God will draw them closer, as well. Keep up the good work, Mamma! If you have some good resources, I’d love to know about them! Thank you for your honesty and willingness to share your heart here. Lord I lift Jack, Katie and Rylee up to You. Wrap them in Your love, and fill their hearts with kindness and compassion. Make their paths clear before them, leading them in righteousness and purity. Fill them with Your strength in challenging situations and circumstances. Keep their feet firmly planted in You, Lord. Amen. Marisa, my 13 year old. Pray her sweet compassion continues and her love of God strengthens. Just want to say that the timing of this post is no accident. Our oldest son has a court date this morning regarding child support. This post, with the last two songs I heard on my drive to work this morning, could only have been orchestrated by God. There are people praying for him, and when (not if, when) things get worked out favorably and justly, I will give all the praise to God. And even if they don’t go as nicely as being prayed for, I’ll thank God for whatever happens, knowing that the whole thing is ultimately in His hands. My young adult daughter, Abigail . . . . . my heart aches for her in ways I never dreamed I would have to! As the text indicates, all of these children mentioned are greatly loved by the awesome Father who created them, and they are loved more by Him then they are by us, their moms. That’s comforting yes, it’s also difficult to fathom at times, knowing how hard I have fought and currently fight for my son Nik. He is not a chronological teenager, yet due to disabilities and cognitive delays he is. Although 26, it’s been about 14 years of a teenage battle. The attacks of satan are tearing him up, yet I know and trust that in all His knowledge and planning, God has an amazing journey for this young man and a great plan for Nik and for that I am grateful. Prayer for the freedom from these attacks would be appreciate, the strongholds can only be broken by Jesus. God never leaves us, and I pray for all of these children, these unique hearts God has created and loved forever, that each would know and understand that truth today. Adam and Erica need prayers for finding peace, courage and strength in the midst of the storms of my rocky marriage. My son, Josh as he struggles – that God would rekindle his faith. I am truly frightened for the culture my girls, Jillian and Charity, are growing up in. I bathe them in prayer before they leave the house every morning. I would love to share this book with them. My nephew, Brennan. His parents are going through a divorce. One parent is a believer, one is not. Lord, I lift up Denise’s son, Josh to you this morning… That he would experience You in his day, his life, his heart… That he would be certain of who You are, and that he is Your child. My oldest, Joseph is 13…my daugter 12….pray for them daily…time is so fleeting! Sean, my oldest, as he exits the teen years and finishes college. My son 11, my daughter 13, and my two adopted boys…. Lord, I bring Kyle and Renee before You. I ask that You grant them Your wisdom and protection. Guard their hearts. May they grow in Your wisdom and lead them along straight paths. I lift Amanda & Eva. I pray the hedge of protection over these beautiful girls! God let them feel how you adore & love them!! Praying for Kristian now and all the others on this post. Strength, strong faith, and boldness. Eyes lifted to Him. I have a 13 year old son, Casey, who struggles with how to fit God into his life and the situations he encounters. He is surrounded with kids from all sorts of homes, believers and unbelievers, peer pressures, girls, what the “world” says he should be like, versus what the word of God says he should be like. We do a devotional at night before he heads to bed, we talk about being the “light” for God, and being a leader but this time in life is tough and I do worry about him, wondering if I am doing enough. I pray that he finds his strength, that he can step out in the faith that he has and be bold and the confidence he needs to love those around him, do the right thing even if it isn’t popular. In Jesus name I lift my son up, amen. I want to include my own! Please pray for my son, Zach, age 23, a student at Appalachian State University. and Madi a senior in high school. Lifting up all of these precious children, as well as my own – Parker, Austin, Rachel, and Ashlyn. I send a prayer up for my daughter Hannah. Lord I lift my daughter up to you she has so many struggles now and ahead of her. I no it’s hard to stay positive and have a good attitude in the world today but you are the positives of all positives and everything and anything is possible through you. Aimee and Marcus, the teens the Lord has blessed me with. My nephew Trey, a senior in high school, as he is looking toward collage next year and keeping is faith strong in today’s world as a teenager. Praying for Aimee and Marcus now. Heavenly Father, I thank You for my children You have so graciously given to me. Help me to be the mother that Jacob, Lexie, and Hunter need. I pray their hearts would be soft towards You and they would come to know You as their Lord and Savior. I pray for Aimee and Marcus as well…that you would be a Presence in their lives, make Yourself real to them. In Jesus Name I pray, Amen. My own teen daughters, Lauryn and Rachel. May they continue to have a heart for God! Danae, who is walking away from her relationship with God. Rachel… Let the love our family has for Christ and recieves from him be truely experienced and made alive to her as she navigates this path into adulthood. Father I thank you for Jenning and ask that you guide him through his life and help him to stay close to and and not give in to peer presssure and the ways of this world in Jesus name amen. Shelby, my 13 year old daughter. Wow, I’m overwhelmed by the pure awesomeness of all these moms praying for other mom’s kids. Great idea Lynn! Heavenly Father, I thank you for all of these mamas with hearts for You, for their own children and even for children they don’t know. I praise the work that You are doing in these lives. I specifically pray a special prayer for Andria and Alaina. Father I pray that You would be ever present in their lives, that You would place people around them who will encourage and help them grow. I pray that their hearts would seek You. In Jesus name..amen! Lord Jesus I praise You for your perfect and eternal love and for Your ultimate sacrifice on the cross bearing witness to that love. I lift up Shelby and all Your (our) daughters and sons in prayer. Help them to know the depth of Your love Father and to realize that in this world You alone are the sole-source provider of a love which NEVER disappoints and NEVER gives up. Having filled them with this knowledge Lord, grow in their hearts a love for You and Your word. May their love for You be the basis of every relationship they seek so they will treat others and be treated with all the respect, honor and care that each child of God (and ours) deserves. I pray these things in Jesus’ name. Amen. 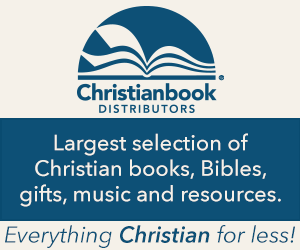 Thank you for showing us this book – it sounds life giving! My wonderful teen (granddaughter) Clara who is 16 (and lives with us with our daughter, her mom, and brother). I pray for our teens in this dark generation that they will be the ‘light’. Praying for Holly, Sara Danielle and Noel and Nathaniel above! Bless them and protect them I pray – in Jesus Name! May they begin to see who God is making them to be! My 19 year old son, Chase, who has walked away from God and is questioning his identity. My 15 year old daughter, Julia, who is questioning. This is such an awesome idea – bless you! Lifting up Clara in my prayers and plead the blood of Jesus over her life! I have been praying about this for a few weeks for my 13 year old daughter, Annemarie. Even as she left the house this morning, she told me I just didn’t understand. I try to tell her that God understands but I don’t think she has fully grasped this at a heart level. I see such an internal struggle of wanting to be the girl God is calling her to be and trying to be someone else to fit in with friends. I know that God’s power is great and he listens to my prayers. 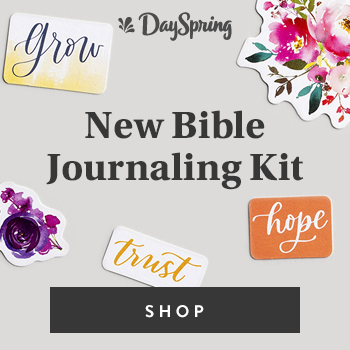 This devotional is fabulous as I am trying to find encouraging places in the Bible. Thank You! My friend has a son named Tommie who is really struggling with several issues including family and drugs. I have three teen girls 16, 16 & 18 and I pray for so many challenges they face in high school and college every day. Please lift up and bless Jana Lynn. and that she has godly friends. I have three in my home right now…Josh, Nate and Esther! Lord, I pray that you would consume Josh, Nate and Esther with your perfect love. Give them sweet kisses of reassurance in whose they are today. Remind them of the truth that they were knitted by you, the way they are, for a specific purpose. Surround them with friends who will encourage them. Give them courage, confidence and strength to be a light in their witness fields. In Jesus precious name, Amen. Please protect all 14 of my grands against the lies of the devil. To search for the best in the plan God has for your lives. Ask for God’s know ledge & wisdom for your life & always be thankful for all that you have . Of God all your days. For all my grandchildren. Praying for my sister and brother, Inemesit and Anietie that they encounter God personally.